When a mild drop is just not enough, Belltech can bring the heat. 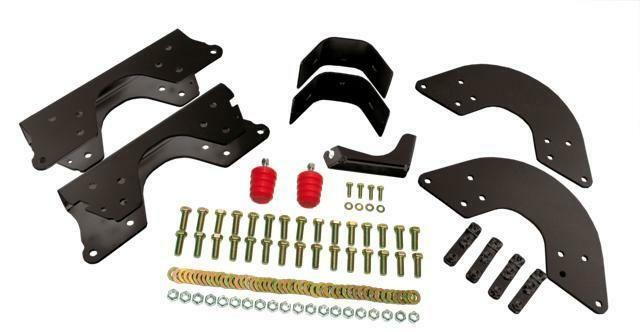 Belltech Flip Kits provide dramatic lowering on the rear of your Sport Truck or SUV by relocating the rear axle of your truck from under to on top of the leaf spring. Belltech Rear flip kits are engineered for each individual application, and manufactured with high quality steel and feature a durable powder coated finish and Grade 8 hardware. Belltech C-Notch are included in most Rear Flip Kits. Belltech C-Notch Kits are bulletproof over-engineered frame modification and reinforcement systems that allow for additional compression or upward travel of your rear suspension, essential in limiting bottoming out. All Belltech C-Notch Kits are manufactured with heavy duty stamped steel contoured to match the factory frame rails. All kits feature a durable powder coat finish and the highest quality hardware using grade 8 fasteners. The best in the business. Period.